You must see this meticulously maintained split floor plan for yourself. 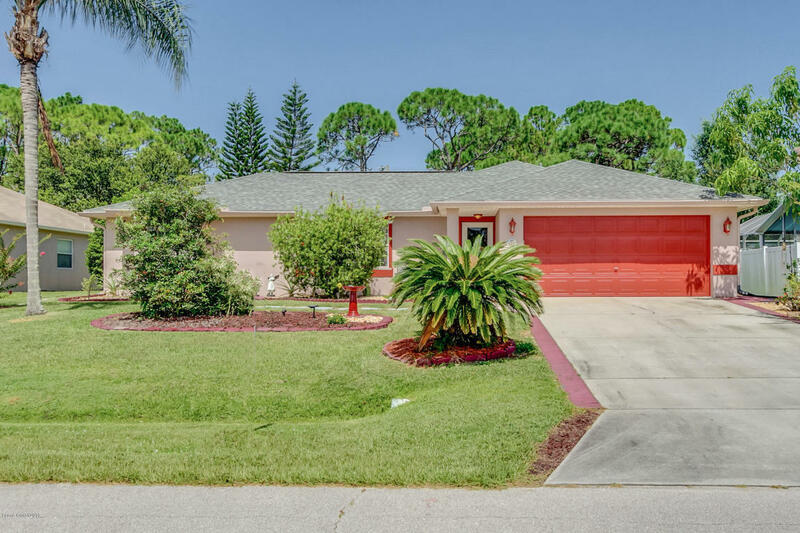 On the edge of Bayside Lakes communities, in walking distance to Publix shopping center. Featuring Granite countertops with city water and RO system at kitchen. New roof in 2018 and secured Florida room with vinyl windows under a/c and detached metal storage shed/workshop not included in the 1638 sq ft living space. Call for private showing today.